Our ultra-fast G-CDN has become even more accessible. We have implemented the possibility to pay for the service with a bank card. This means that you can now sign up for and manage one of the fastest and most convenient CDNs in the world without the help of a personal manager or a technical support expert. After signing up, you choose a plan, provide card details and activate the service. Plans can be changed. Withdrawals will be charged automatically. Steps for signing up or changing the plan are accompanied by emails with clear instructions, so you will get through it with no problems. You can discontinue using the service at any time. For the convenience of our new customers, we have updated our plans. 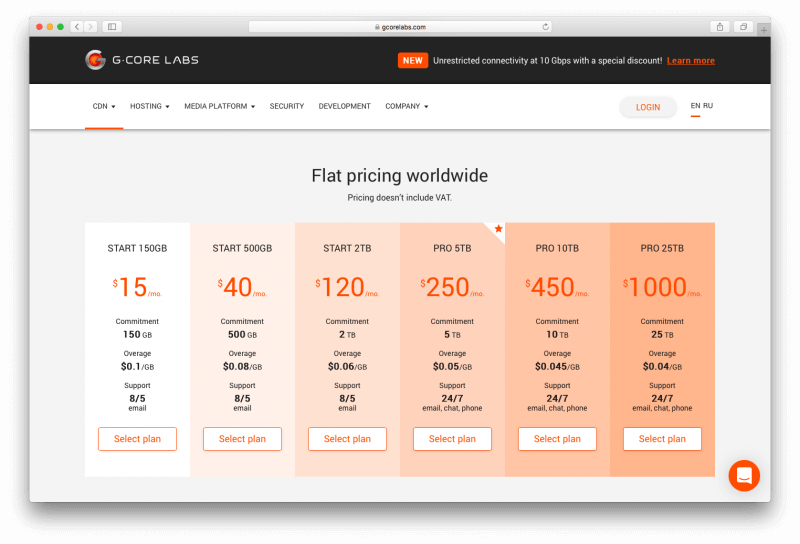 Specifically designed for small business owners who are planning to try to connect CDN on their own. All functions of the control panel are available with these plans. Technical support availability time is limited to 8 hours per day. Suitable in case of increasing resources or traffic load. Personalized technical support is available 24 hours per day with these plans. There is another special advantage: we can add custom settings at your request. Detailed breakdown of expenses and payments as well as the ability to top up your account in advance will become available soon. 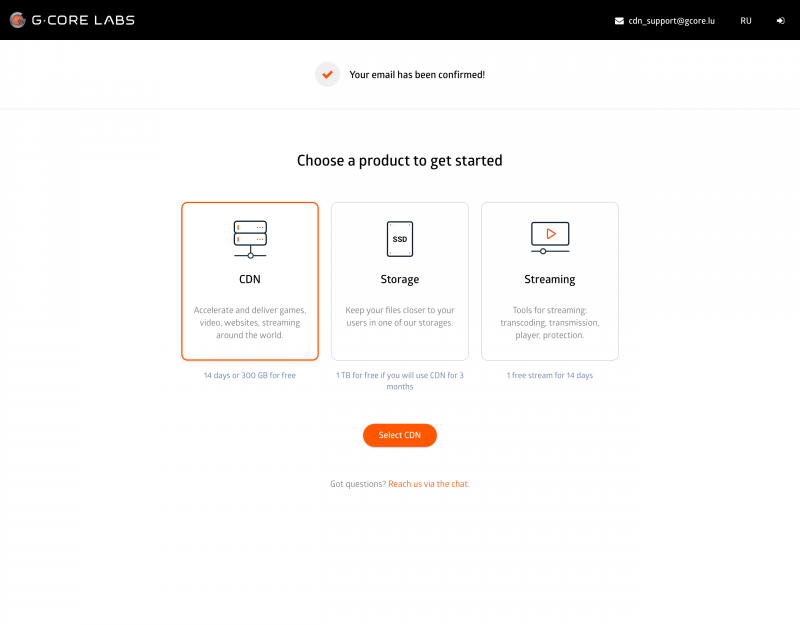 Sign up for G-CDN, choose a favorable plan and delight your users with ultra-fast content delivery worldwide.